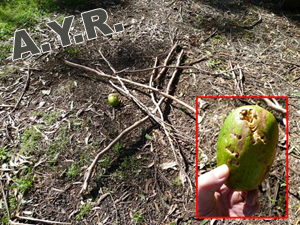 Many people ask what to look for in Yowie active areas. 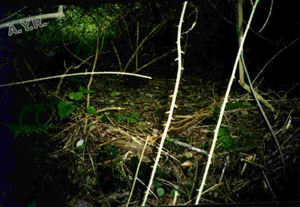 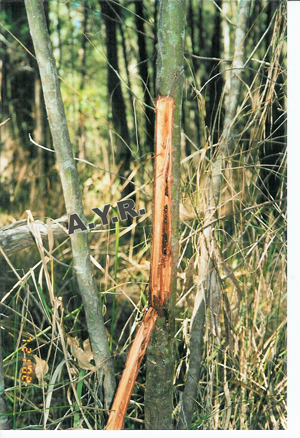 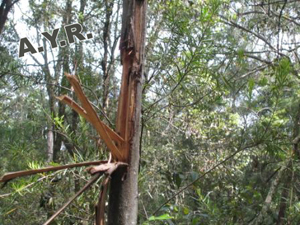 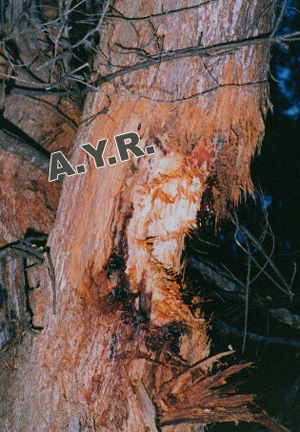 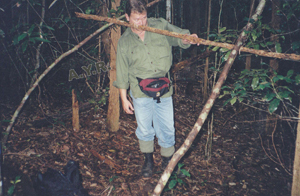 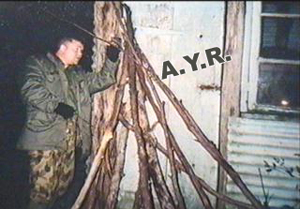 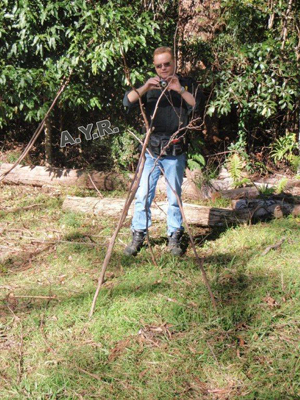 Below are common anomalies synonymous in areas with many Yowie Sightings. 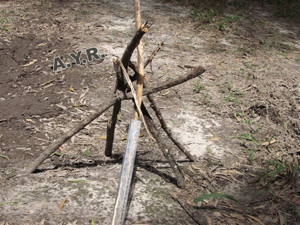 It is thought they use simple stick structures and patterns to communicate with each other. 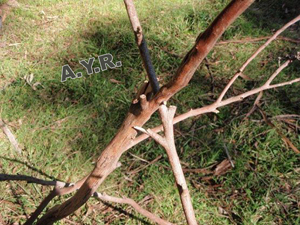 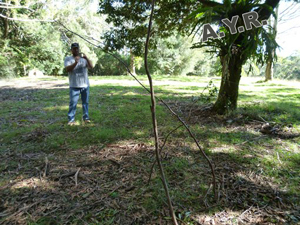 Stick structures such as what are known as 'Tee-Pee's' and common place in active areas all over the World. 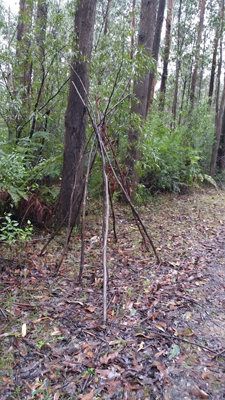 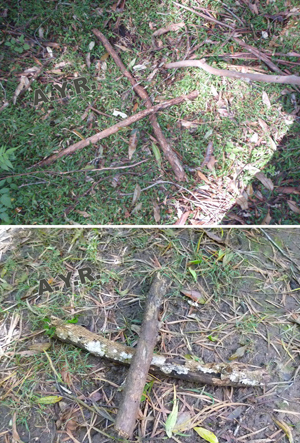 Tee-Pee found by Warwick, 5kms out of Yarra Junction in 2016. 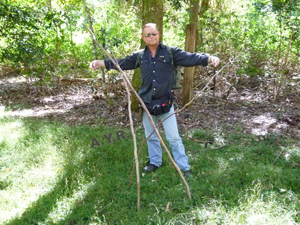 Warwick had also explained some mysterious noises that he never heard before. 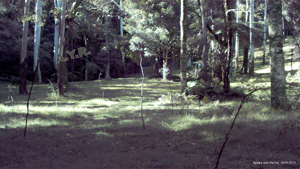 Don't miss the subtle signs! 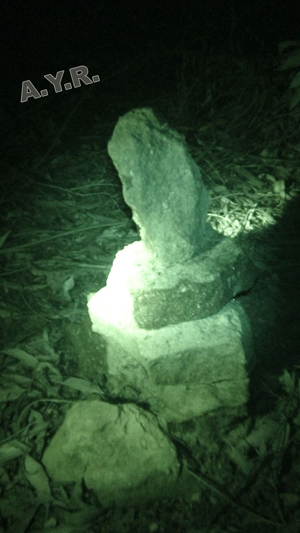 The fruit next to this formation was total foreign to the area - 2013. 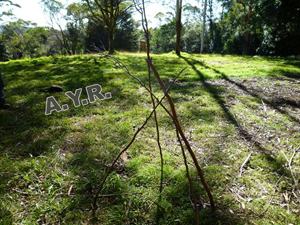 We believe this was a gift from a Yowie we spent a lot of time with at Springbrook. 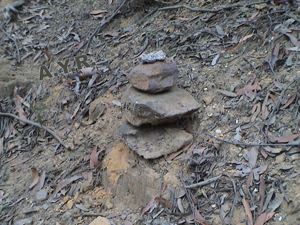 More stacks found during the night in bushland of the Blue Mountains. 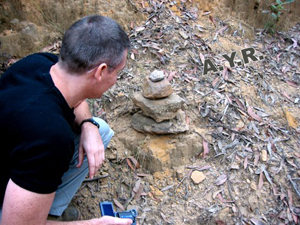 Possible formation in the Watigans, New South Wales. 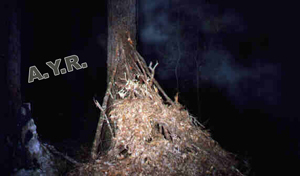 Very well known hot spot. 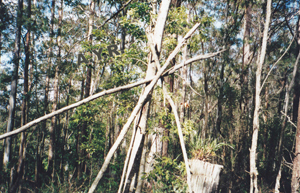 Another classic sign are trees pulled down and held in place by weaving the end between other trees - Blue Mountains 2000. 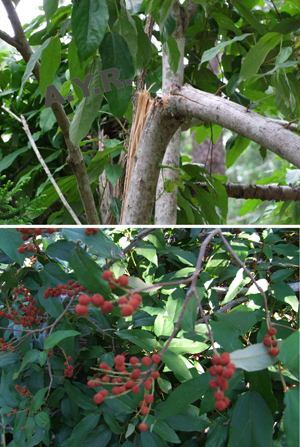 This is three shots to show the full picture of how this tree was secured.